Our Silver Gift for You Premium Stock Mini Gift Card Envelope is perfect for any gift card occasion when you want to add an extra touch of style. 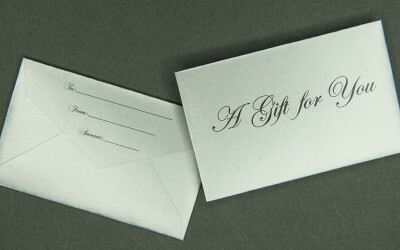 Manufactured with 70# coated paper stock, our Silver Gift For You Gift Card Envelope is flood coated in silver, set off by elegant black lettering. Measures 2 5/16″ X 3 11/16″ and has a “V” flap.